A decade ago, live video broadcasting in high-quality required hundreds of thousands of dollars worth of equipment. Producers worked strictly off custom hardware installed in studios or mobile production vans. Today, the same sort of professional production can be done on a handheld device. In this essay, we’re going to look at one method of production for live video broadcasting using the Live:Air app on an iPad or iPhone. This system, developed by Teradek, provides a robust mobile platform for live streaming 1080p HD video. Can you imagine the benefits of producing mobile 4-camera live streams with a minimal budget, wireless operation, and handheld portability? The possibilities are pretty exciting! 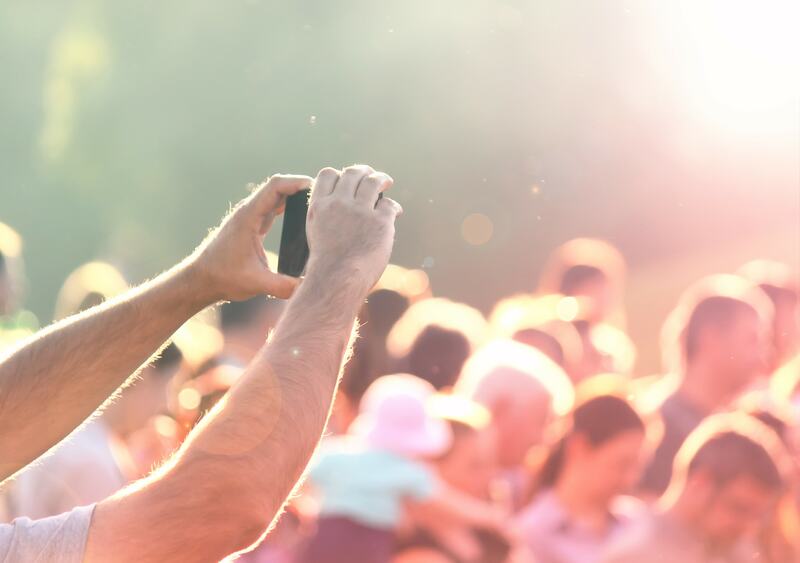 Let’s dive into some of the details of this live video broadcasting revolution. Teradek’s Live:Air (pronounced “Live to Air”) is an iOS app that runs on iPad devices. Other versions of the software run on iPhones as well, but the full version is iPad-exclusive. 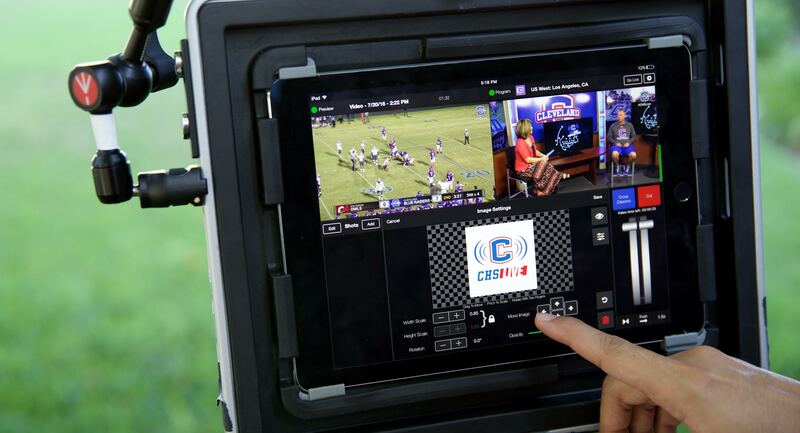 At its most advanced, Live:Air allows you to use a single iPad as a production switcher for a live video broadcasting feed. The video feed from up to four cameras can be fed to this iPad. Live:Air then allows you to switch between each camera, add titles, and deliver the feed to your streaming host. You can also switch to other media such as image files, music, and pre-recorded videos. All of this can happen in real time at 1080p full high definition on a handheld device that weighs about a pound. A wide variety of users are finding Live:Air useful. Schools and universities are using it as a simple method to teach live video broadcasting. Professional users are also finding Live:Air ripe with potential. For quick shoots, journalism, and live news coverage, Live:Air is ideal. The Live:Air user interface mirrors most live video broadcasting and switching hardware. In the top right is the “Program” feed. This displays the video that is being broadcast. The top left shows the “Preview” feed. This is where you can queue up a clip or video source. Along the right side of the screen is the “Cut/Transition” button and slider. These are your main controls for mixing/switching. On the far left side of the screen, below the “Preview” feed, is the Shots List. This is where you can queue up prepared shots. These shots can be composed of video feeds with pre-prepared text, lower thirds, and more. Finally, the bottom center of the application features your main editing area. This has several configuration tabs, including Editor, Audio, Record, Input, and Output. Video sources for Live:Air come in a number of forms. First, you can connect other iOS devices to Live:Air and use them as camera sources. Up to four individual iPads, iPhones, or even iPod touches can be used as video sources. Given the video quality these modern devices can produce, you can get some excellent footage. iOS sources connect using the free Live:Air Remote app. Additional video sources can connect via Teradek devices such as the Cube, VidiU Mini and Pro, and any other Teradek encoder. When you connect a video source to Live:Air, the microphones in those devices are automatically enabled. You can also connect independent audio sources via Lightning cable or Bluetooth. To configure audio sources further, visit the “Audio Mixer” section of the Live:Air app. Sliders allow you to adjust the levels of each audio source independently. You can also toggle each source on or off, and adjust the overall program audio volume. Once sources are added to your Live:Air, switching between them in real-time is easy. In the app, all your sources reside in the sources area. Video camera sources can be added as “shots” to prepare them for streaming. Shots can also include pre-recorded video files, images, and more. Switching between shots is as easy as selecting a clip, which adds it to the preview feed. Then hit the cut button or transition button to switch to the given clip in the program feed. Live:Air also supports a picture-in-picture mode via an upgrade. Text can be added to your live stream using Live:Air. To do so, hit the + button next to the “A” text source under the editor tab in Live:Air. This allows you to type in and format text. This can be added to the preview feed via the shots panel. You can also add image files via your iOS camera roll. The built-in image editor allows you to make basic edits to your images on the go. Live:Air allows you to add transitions as you switch between different video sources and shots. Transitions are available via the “gear” icon in the bottom right corner of the screen. You can use the T-bar on the right side of the screen to manually control the speed of the transition, or modify the transition duration using the small slider underneath the T-bar. To connect to a live video broadcasting service, navigate to the Live:Air settings. 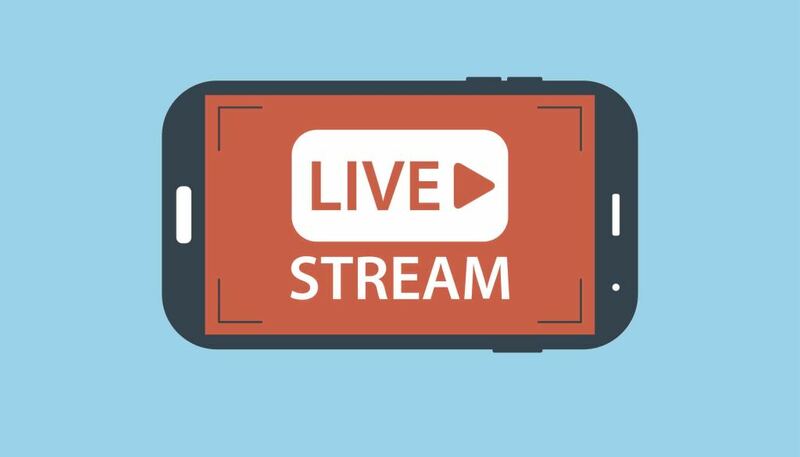 Here, select a pre-configured destination such as YouTube Live, or use a custom RTMP server to connect to any live streaming service provider. This is also where you will select your master output settings for resolution, bit rate, frame rate, H.264 encoder profile, keyframe interval, and adaptive bit rate. When streaming, the Output tab will provide info and statistics about the stream quality in real-time. Live:Air is compatible with Teradek’s Core professional IP Video Management Platform. This allows you to remotely monitor each Teradek encoder and app in your arsenal, and to stream to multiple OVPs at the same time. The Live:Air app will run on any iPad Air, iPad Mini 2 or newer, or iPad Pro. However, iPad Minis do not support broadcasting at 1080p. Some users experience lagging and poor stream performance when using older iPads. The use of the iPad Pro is recommended for maximum processing power. Live:Air also allows you to monitor via HDMI. This requires a Lightning to HDMI adapter dongle and an external monitor. The Live:Air app is free to download. However, the free version includes a watermark and limits the length of broadcasts to 30 minutes. It also only supports up to two video sources and two graphics overlays. Upgrading to the basic version costs $49.99 and removes the watermark and broadcast time restriction. The Pro version ($99.99) supports 4 Teradek or iOS devices at 1080p. It also adds support for picture-in-picture, multi-view, and chroma key. Three additional upgrades are available. The RTSP upgrade allows you to use video from IP cameras as a video source. The Recording upgrade allows you to record the stream of your program to your local storage. Finally, the Instant Replay upgrade adds that eponymous feature. Live:Air Solo (for iPhone) and Live:Air Remote are both free. There are no subscription fees required for using Live:Air. To use an iOS device as a video source for Live:Air productions, you have to install the Live:Air Remote app to the device. Live:Air Remote is free, and compatible with an iPod Touch, iPhone, or iPad running iOS 8 or later. For an app running from your phone, Live:Air Solo is stunningly powerful for live video broadcasting. After reviewing the Live:Air app family, we’re pretty stunned. Even a few years ago, this sort of technology in a portable, affordable package would have been laughable. To think that you can mix a multi-camera live stream with embedded graphics on a pocket-sized phone or handheld iPad on the fly is simply incredible! These apps open the door for some very creative broadcasting by bringing multi-camera shoots to a wider audience. Smaller broadcasters, journalists on the move, and organizations operating on-the-go can truly benefit from this system. We applaud Teradek for this innovation – it’s quite a feat of engineering! What do you think of Live:Air? Does it seem promising to you? Have you used the apps? What was your experience like? Let us know what you think in the comments. Thanks for reading, and as always, good luck with your live video broadcasting!